…one of the most unforgettable sets I saw all week. He dedicated a song to a loved one that was a victim of police brutality, and towards the end of the song he acted out being choked by a cop while rapping. First the crowd was speechless, and then erupted in huge cheers of approval and solidarity. 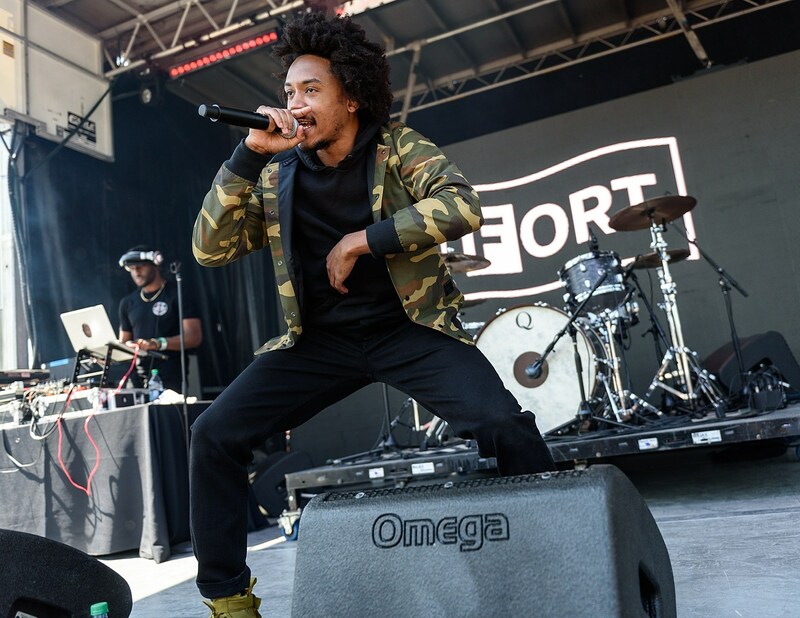 Bobby also played day one of FADER Fort (pictured above). Bobby’s latest album is his 2017 LP grateful., which instantly registers as above-average and isn’t like much rap on the radio today. Bobby’s a highly talented rhymer and lyricist, and he raps over production that pulls from both real-deal funk and real-deal jazz. There are some definite Anderson Paak vibes (both are rappers who cite James Brown as an influence), and you can hear some Black On Both Sides-era Mos Def in the mix too. He’s really the whole package: good delivery, a good message, and an ear for picking good beats. If you’re not already listening to Bobby Sessions, you won’t regret changing that right now. Stream grateful. and watch the video for the sorta-title track “Grateful (Always Somethin’)” below.